Landing pages are one of the most valuable part of a marketing campaign. People who click on ads have been attracted by a message, but whether they take an action strongly depends on landing pages. Here are some tactics you could use to maximise your marketing efforts. You can also learn more in my online course devoted to the psychology of sales in landing pages. Whenever someone clicks on an ad they are directed to a page from your website, which in most cases you have deliberately chosen. The only exception is Dynamic Search Ads, which automatically choose a page which is closest to what the user was searching for on Google. You can read more about Dynamic Search Ads in my previous article. A landing page is where an action takes place. This action can be signing up to a form or a newsletter subscription, watching a video, requesting a quote, making an online purchase. These are called conversions. To know how many conversions you have you must set up conversion tracking in Google and install Facebook Pixel. These tools help you see the direct results of your online paid campaigns. To set up conversion tracking takes a few minutes and it is recommended to have it set up before starting a paid campaign. Since in the online marketing world you pay per click, you must make sure you maximise your bang for buck. In other words, if you pay for every person who clicks on an ad you want them to have a good experience, so they can eventually take an action. If you send users from a specific ad to a vague and generic page, this is confusing and unhelpful. They close the page and keep on searching, but you cannot get your money back. This is why you should always always send users to a designated landing page which is closely related to your ad. If you are running a Christmas campaign, send users to a Christmas campaign page which explains what the offer is and how to take action. What are the characteristics of a good landing page? Specific. 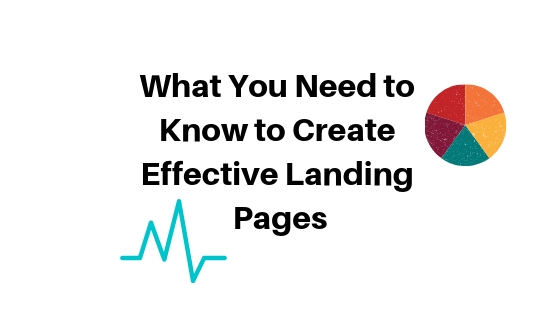 A good landing page must be related to what your ad talks about. Especially for search campaigns, you must send users directly to a page which is related to what they were trying to find at first place. If you are advertising red shoes, send users to a page only about red shoes, not any shoes. Fast. About half of mobile users leave a page if it does not load in 3 seconds. The average loading time of websites is 17 seconds. This is extremely frustrating for the user and damaging for the advertiser. The faster a page loads the better outcome. You can use solutions like Accelerated Mobile Pages and Progressive Web Applications to shorten loading times. Clear call to action. Making sure the user has a clear direction on what to do next is crucial for the success of the landing page. A button with a clear message and a short explanation of the benefits of the product are sufficient for the landing page. You do not need much text content like with SEO type of pages. Since you are driving paid traffic to a landing page, it has to be tight and easy to grasp the message quickly. Big companies like Facebook see that advertisers usually struggle and give up if they don’t see return on their investment. This happens most often because their websites are not ready to capture the traffic. This is why Facebook came with a solution called Lead Ads. These are pre populated sign up forms which load immediately once you click on a facebook ad. The information from your profile – email and telephone is already filled out – you just have to say yes to get it posted. You can also create lead ads on LinkedIn with the same principle. To get the leads in your customer management system, you usually have to rely on Zapier. In a nutshell, it is easy to create a lead ad and to receive the leads directly from Facebook or LinkedIn. Google has integrated landing page experience as a part of their website ranking system.In order to have your website rank high in the organic results it must be mobile friendly and secure. Having a secure SSL is crucial, as non secure websites are flagged to the user. When it comes to landing pages, same things is valid – they must be secure, mobile-friendly and fast. A mobile-friendly score from 1 to 10 is generated for every page you send paid traffic to. You can check the report in the “Landing pages” section in Google Ads new interface. Today’s customers are curious, demanding and impatient. They are looking for a right now solution which is perfectly answering their needs. According to Google’s research there is a 60% increase of searches including the words “for me”. In return they are much more ready to experiment and try new brands and solutions, if they answer their needs. To target such audience, your ads must be relevant, fast and straight to the point. According to Google’s research there is a 60% increase of searches including the words “for me”. Having a secure, fast and relevant landing page is absolutely crucial for you to have successful campaigns online. The main reason why businesses stop investing in marketing is the lack of return on investment. However, a healthy return depends not only on your advertising efforts, but also on your website. I see businesses which are extremely keen to advertise, but are not ready to meet the expectations of nowadays users. This entry was posted in Marketing Strategy, PPC and tagged landing page.